As an industry we know the benefits flowing from business events. 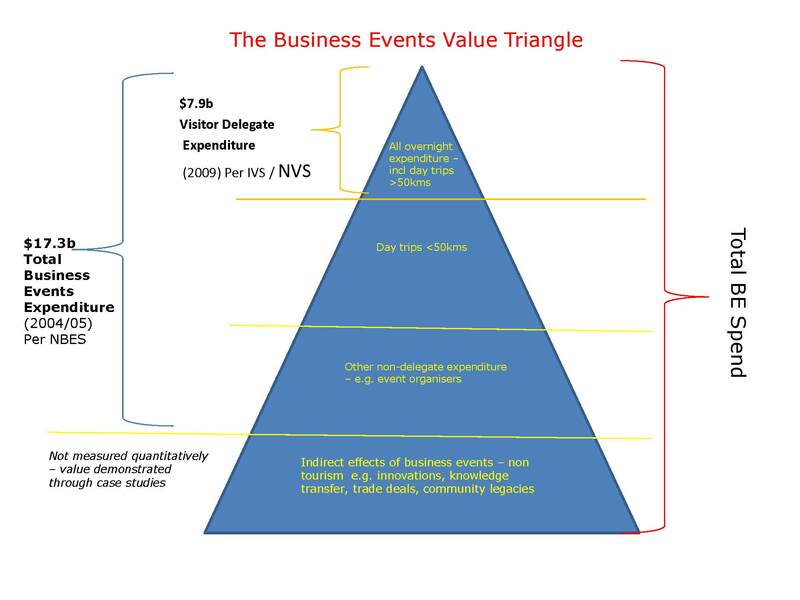 The indirect economic impact or non-visitor spend contribution and the value of the business events industry to Australia is not purely economic or financial. There is an extensive pool of unmeasured value under the surface. 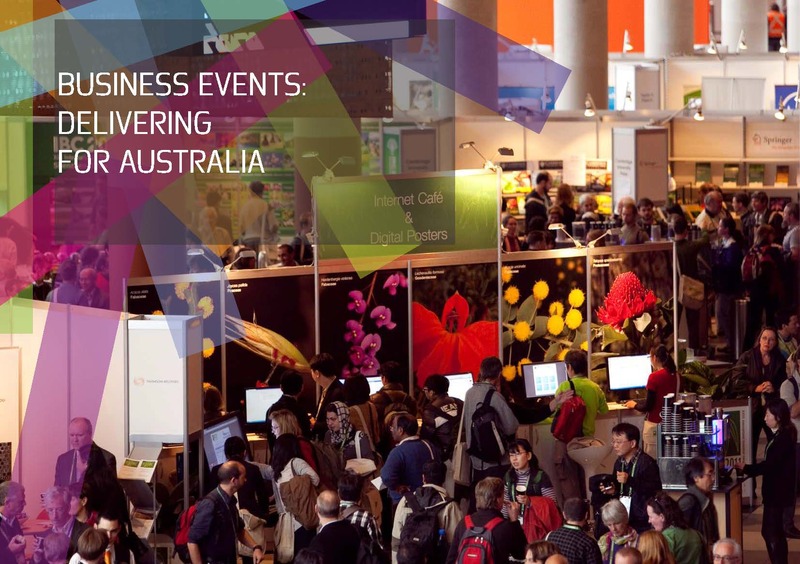 The legacy and flow on affects of business events is deliveredin many ways such as attracting world leaders in many businesses and professions to attend their global conference held in Australia. Research has identified that this leads to global profiling, international network creation, cultural and business development, innovation and foreign investment. Significantly more than 70% of visiting delegates would not have come to Australia if their conference, meeting or exhibition was not taking place here. They have been introducted to our wonderful destination which has meant results in future leisure travel. This is the most significant legacy we produce for Australia and we would like more Australian people to understand and support this great industry and in doing so contribute to its growth. , to bringing business interest to our shores and introducting our business events guests to our wonderful destination which has meant results in future leisure travel. All of these benefits are direct intangibles from the business events industry and are of immense value and yet very hard to measure. So we are calling upon all those involved in the indutry to help us create a knowledge base of the beyond tourim benefits which will give us strength in gaining wider support for the industry. BECA has already produced in conjunction with many industry parties a booklet: Business Events: Deliverying for Australia. This is a collation of many case studies which reperesent the beyond tourim beenfits of our industry. We would ,like to be able to continue to produce this booklet in the future with future case studies and seek your assistance to do so. BECA would greatly appreciate any additional case studies or relevant information from the industry and others to assist with the continued development of this vital pool of knowledge. If you are able to assist please contact the Inge Garofani, Executive Manager at igarofani@businesseventscouncil.org.au.